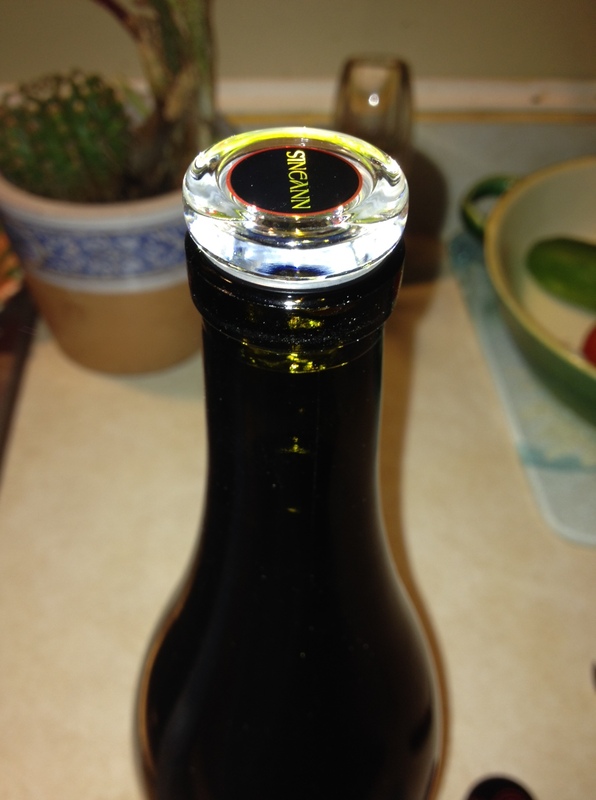 8-2-12 @ 10:16pm – While my 19-year-old daughter is watching Ice Age, I have wine on the brain. Since, I can’t drink it; I will write and read about wine. There’s an interesting-looking gentleman in a red sweater holding a very large wooded corkscrew that is appropriately 3 feet long. Writer, Zach Dundas writes that Oregon wine industry has doubled in size in the last 4 years with an annual “take” of $2.7 billion. 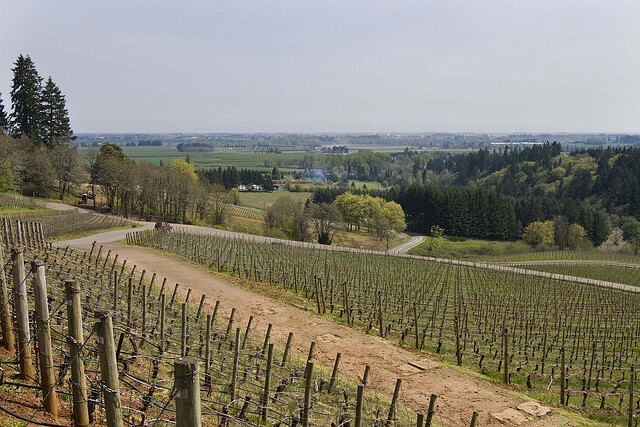 Willamette Valley, Oregon’s heartland produces some of the most expensive Pinot Noirs. Dundee Hills is less than 30 miles from Portland. Oregon produces less than one percent of wine of the U.S total, however, the state has the second most wineries in the U.S. In case you were wondering, there are approximately 23,000 farms that grow grapes in the U.S. Of these 23,000 farms, it is estimated 14,000 to 16,000 are vineyards. About 58% of total grape production is wine grape production. In 2010, Oregon wine production continues to grow. There are 419 wineries from 387 in 2009 and 849 vineyards from 835 in 2009, (http://ita.doc.gov/td/ocg/wine2011.pdf). In 1966, David Lett planted Oregon’s first Pinot Noir vines and America’s first Pinot Gris. The Lett’s sold their first wines door-to-door. I did some research and found that David Lett, who passed away in 2008, was the founder of Eyrie Vineyards. The Eyrie Vineyards is located in the Red Hills of Dundee, about 30 miles of Portland. In 1970, The Eyrie Vineyards produced their first vintage. In 1975, The Eyrie Vineyards produced the first American Pinot Noir to compete successfully with the renowned Pinot Noirs of Burgundy (Paris, 1979; Beaune, 1980). In 2009, David Lett was awarded an Honorary Doctor of Science degree of Linfield College; honorary Mr. Lett’s “visionary work to establish Oregon’s world-renowned wine industry”. Mr. Lett’s son, Jason, who now presides over Eyrie Vineyards, accepted the award on his father’s behalf. Ok, back to the article, Eyrie Vineyards is one of Oregon’s most acclaimed and valuable vineyards. Jason shared that his father felt they were only three places on the earth where he could make wine: Portugal, New Zealand and Oregon. Dundee is a small farm town filled with bistros and restaurants. Even during a recession, the Dundee Hills saw an increase of farmers, wine-makers, artisan food business and hotels. Dundee Hills resembles a “fist”; five hill split by ravines and winding country lanes. Dundee Hills is an intimate, has uncrowded tasting rooms with knowledgeable staffers. . Winter’s Hill Vineyard has seen a seasonal business turn into a year round business. There appears to be a strong bond and support system among the wineries. They want everyone to make the best possible wines. If anyone has a question about their vineyard or tasting room, they can call upon one another. I really enjoy Oregon’s Pinot Noirs. They are fruit-forward and filled with full cherry flavors. Some of my favorites are the amazing Castle Rock Pinot Noir- Willamette Valley. A Pinot Noir that I recently had is Sineann Pinot Noir, full-bodied, aromatic, robust cherry flavors with a slight spicy finish and it has a beautiful glass cork. If you want to read the original article, search for American Express Travel, Escape magazine. For more information on Oregon wineries go to www.oregonwine.org.